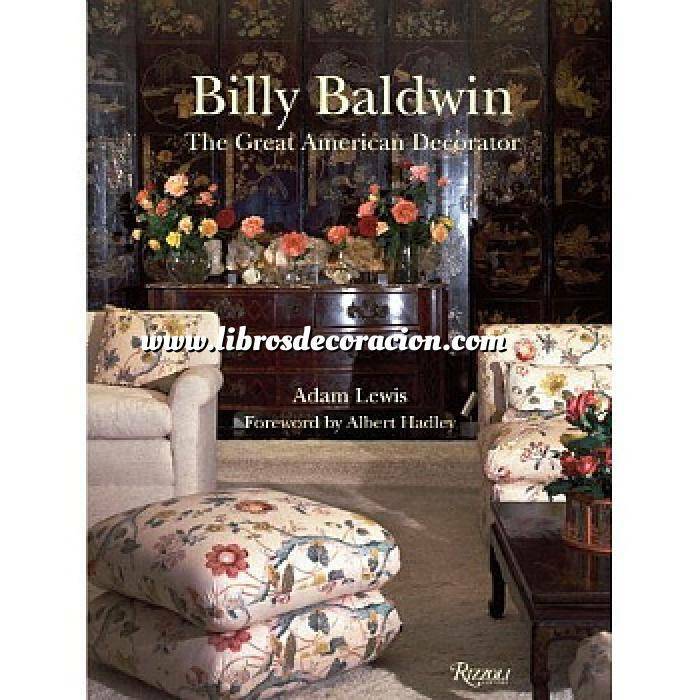 The definitive book on the legendary decorator Billy Baldwin, known as the "Dean of American Decorating," famous for his classical taste, streamlined modernism, and brilliant use of color. In the tradition of Rizzoli’s Albert Hadley and David Hicks, this is the first fully illustrated account of the career of Billy Baldwin (1903–1983), one of the most important decorators of the twentieth century, whose work has influenced contemporary designers from Bunny Williams to Jeffrey Bilhuber. A native of Baltimore, Baldwin’s work caught the eye of eminent New York decorator Ruby Ross Wood. She invited him to join her firm, saying his work stood out "like a beacon of light in the boredom of the houses around it." Baldwin’s style was a revelation—simultaneously classical and modernist, tailored and clean, yet dramatically colored, and above all American. An enemy of clutter and conspicuous wealth, he favored natural materials and comfortable furniture. The drama in his rooms often came from color, as seen in the dark brown lacquered walls of Cole Porter’s library or the scarlet cotton print that covered Diana Vreeland’s apartment. Immensely charming, Baldwin was a popular addition to the high society of New York. His clients included Bill and Deeda Blair, Babe and Bill Paley, and Jacqueline Kennedy Onassis. With a foreword by Baldwin’s former student Albert Hadley, and enriched by never-before-published transcripts of four 1974 lectures that Baldwin gave at the Cooper-Hewitt, this is an important book for anyone interested in interior design.